Item # 314893 Stash Points: 11,995 (?) This is the number of points you get in The Zumiez Stash for purchasing this item. Stash points are redeemable for exclusive rewards only available to Zumiez Stash members. To redeem your points check out the rewards catalog on thestash.zumiez.com. 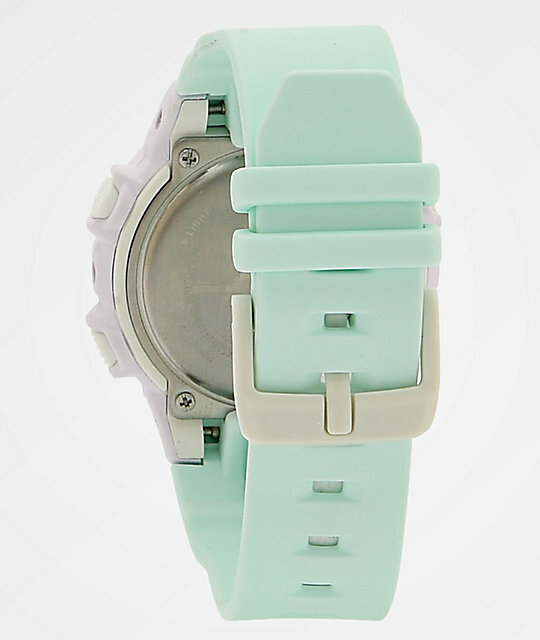 Give your wrist the colorful accessory it deserves, with the G-Shock Baby-G Mint & Lavender Digital Watch. 12 and 24 hour time settings and a pre-programmed calendar up to the year 2099 keep you on time and on schedule, while a timer, world clock, and LED backlight are all added for additional functionality. 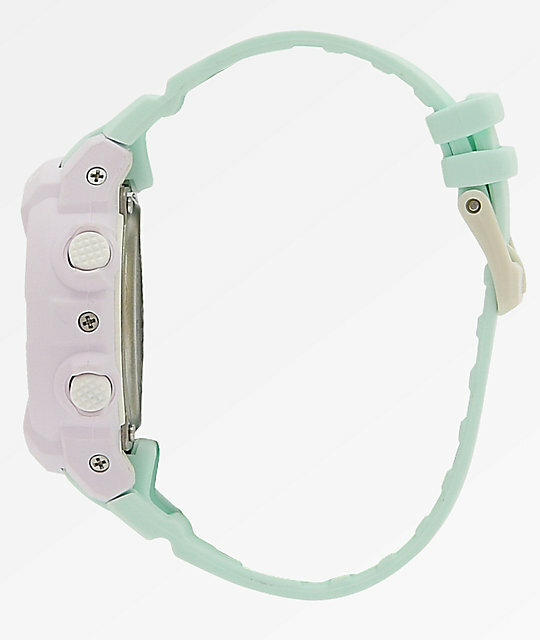 200M of water-resistance, shock and magnetic resistance are additionally included to keep this watch extremely durable, and the smaller, feminine fit and colorful lavender and yellow colorway are a perfect accent to all your daily looks. 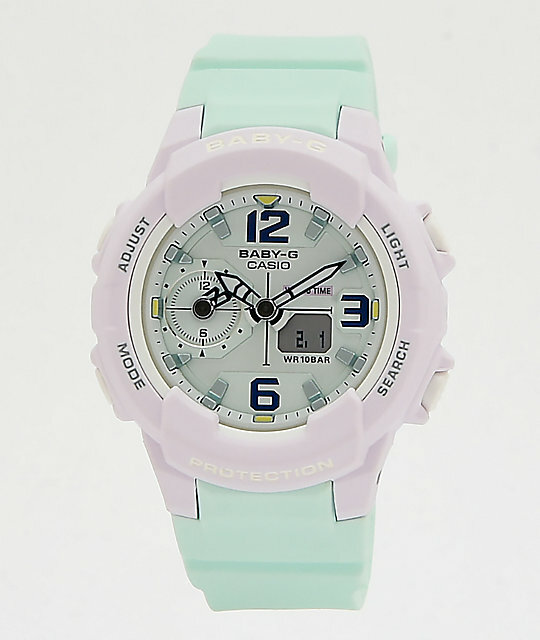 Baby-G Mint & Lavender Digital Watch from G-Shock. Case/bezel material: Resin, Band Material: Resin. Auto LED Light with Afterglow. World Time with 31 times zones, daylight saving on/off, home city/world time swapping. 5 Daily Alarms and 1 Snooze Alarm. Measuring modes: elapsed time, split time, 1st-2nd place times. Full Auto-Calendar (pre-programmed until the year 2099). Accuracy: +/- 15 seconds per month. Approx. battery life: 3 years. Size:55 X 51.2 X 16.9 mm, Weight: 73 g.